Supply chain issues can drag down a business and make it less efficient and profitable. The supply chain is the most critical part of business. Disruptions in the supply chain through events such as natural disasters or market fluctuations can cost your company lost revenue and impact your bottom line in other ways. So it is very important for executives and managers to learn how to effectively manage their supply chains to ensure a continuous flow of goods while taking all other factors into careful consideration. However, many professionals aren’t aware of the ‘hidden’ costs that pop up during the different elements of the supply chain that tend to go unaccounted for when calculating total costs. Without keeping accurate tabs of these hidden costs, you might be constraining your ability to do business and unnecessarily losing revenue. Here are four common supply chain issues that tend to go unnoticed by business professionals which you should be aware of. Free shipping is becoming so commonplace in e-commerce that customers are almost taking it for granted. Of course, shipping companies know that there really isn’t such a thing as free shipping – between shipping fees, the cost of packaging, and the cost of transport, every package costs money. Huge corporations are driving this trend towards free shipping primarily because it costs them less money to ship a package. For example, according to the Wall Street Journal, Amazon spends around $4-5 per package – contrast this with the $7-8 it costs the average business for the same package. The competitive nature of the market makes it difficult for small business to keep up with big business while maintaining healthy profit margins. Since smaller companies don’t want to lose customers to corporations, many of them are beginning to offer free shipping on purchases as well – and the companies seem to be simply eating the cost of the shipping. 90% of e-commerce sites offered free shipping during the 2015 holiday season, according to Kurt Salmon, and free shipping will only become more commonplace as time goes on. According to research by Deloitte, shipments deemed unsaleable comprise about .83% of gross sales. Half of these are caused unsaleable by damage that occurs during transportation. While it may not seem like much, it actually costs businesses about $7.5 billion every year. The causes of damaged shipments usually stem from packaging issues – container design, improperly loaded pallets, shrink-wrap applied poorly, and other in-transit factors can cause shipments to become damaged during transport. This can have a consequential impact on companies, not only in lost goods but also on their relationships with their customers. Shippers need to do a couple of things to reduce the impact of unsaleable goods – first, they need to audit their packaging processes and ensure that all best practices are being followed at all times. Second, they need to have a plan in place for when a shipment arrives at a customer’s facility damaged. Quick alerts and replacements of damaged goods are essential to retaining the trust of the customer. We all know how quickly transportation regulations change and shippers have become adaptable to account for this. According to Inbound Logistics, the trucking industry in the USA has had to adapt to six hundred more regulations over the past nine years alone. Of course, changing regulations and complying with them lead to costs which are usually the responsibility of the shipper. Mitigating these costs while staying within compliance is a fine line that experienced shipping professionals should be able to navigate. Another hidden cost in the supply chain that most professionals don’t think about is the cost of congestion in the transportation network. The logistics industry loses almost a billion hours and $50 billion every year due to traffic congestion. While technology such as self-driving trucks are in the works to help reduce these costs in the future, shippers will need to be aware of how this loss is impacting their business now and plan accordingly. Inefficiency is a fact of life, though you might be surprised at just how deep it can cut into a company’s supply chain and, by extension, its revenue stream. Every process that operates even a little below optimum levels adds up to a lot of money wasted. 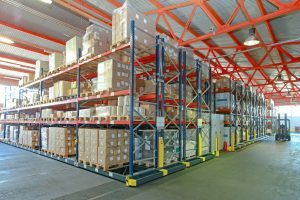 Often, this extends to the design and operation of the warehouse facility itself. In many cases, design solutions have not kept up with the pace of technological improvements, leading to inefficiency. A simple redesign of a space in accordance with lean principles could end up paying for itself over time. Another way to mitigate supply chain inefficiencies is to work with an experienced logistics company that understands the ins and outs of the supply chain and how to get the most out of every step of the process. Companies like AFP Global Logistics can help shippers cut overt and hidden costs to help them focus on increasing revenue and maintaining quality. This entry was posted on Thursday, October 12th, 2017	at 10:16 am	and is filed under Business Basics	. You can follow any responses to this entry through the RSS 2.0	feed. Both comments and pings are currently closed.